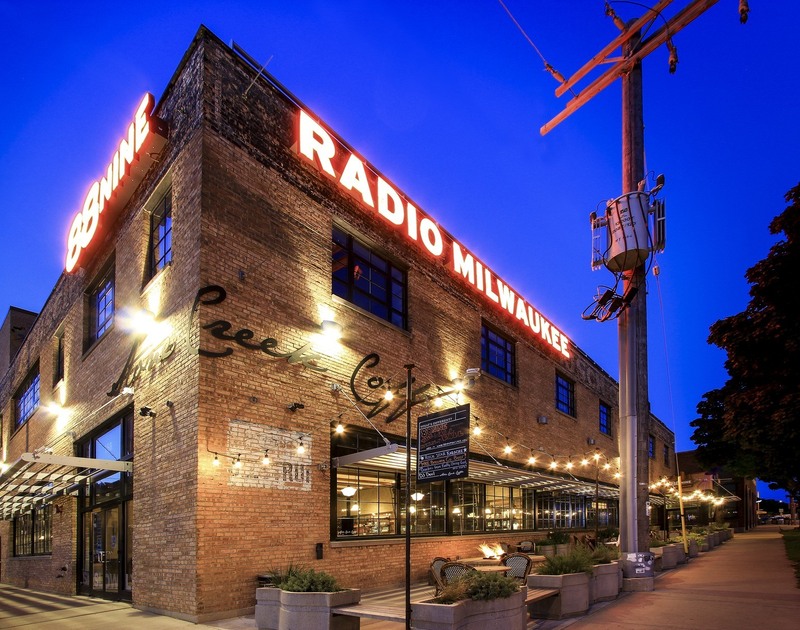 88Nine Radio Milwaukee’s new facility is a transformative presence in the Walker’s Point neighborhood, bringing to life a long vacant building. The central feature of the new building is a venue entirely unique to Milwaukee. The Performance Space accommodates over 100 people for live performances and events. 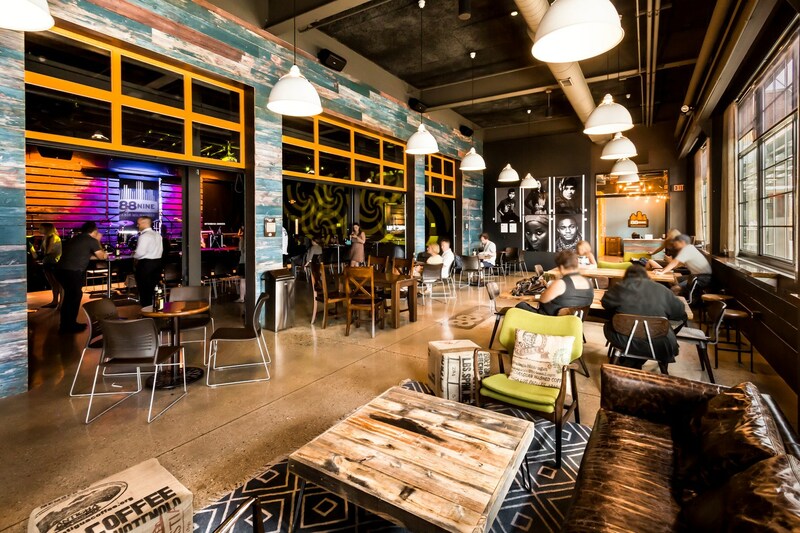 The adjacent community room is a hub for station events and a gathering place for the community. 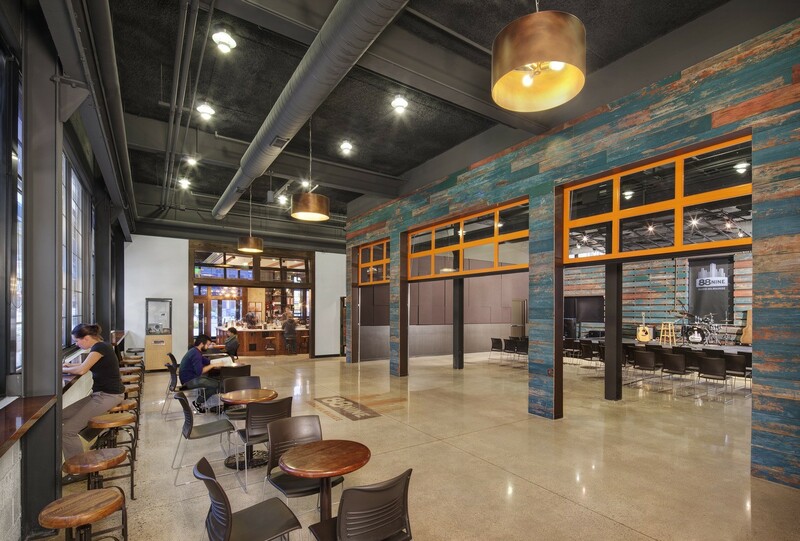 Stone Creek Coffee’s café is connected to both the Performance Space and station partner by large glass garage doors making this space is flexible and welcoming. 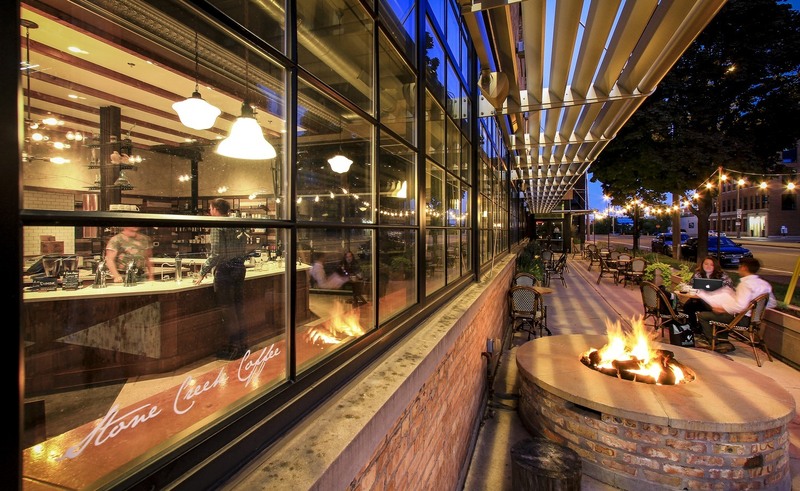 Large windows extend the experience to the sidewalk patio featuring outdoor seating and a fire pit. 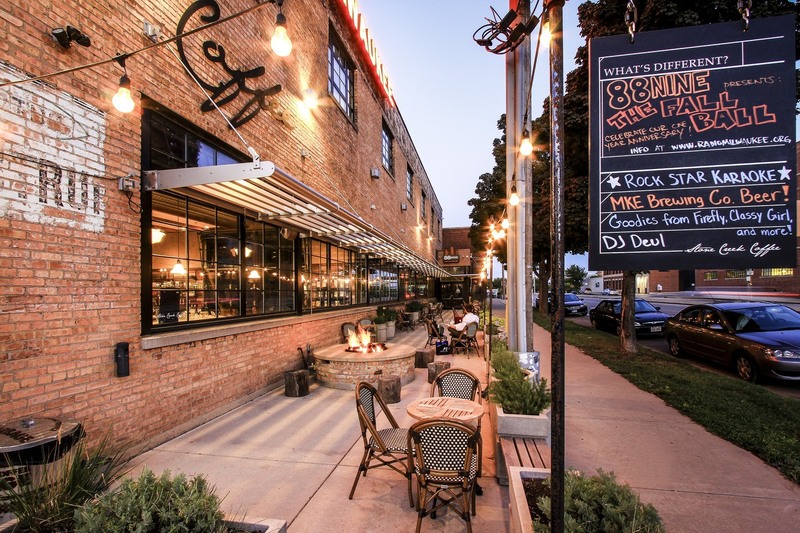 Here you can order local coffee and relax looking out to Pittsburgh Street or to the studio through the large glass expanses that make up the building’s façade.